Crockpot fall off the bone ribs! I figured it was time to rerun this post since it is still one of my favorites and hard to find on the blog. Enjoy! Hope everyone had a Happy 4th of July! Since the local grocer had ribs on sale I decided we would have them last week, but we decided it was too hot to even cook them outside on the grill. So, I wanted an easy (and hopefully cooler) way to cook the ribs so I went Google searching with the words Crockpot and Ribs. The ribs I bought came pre-rubbed so all I did was cut the rack in two and put them in the crockpot. I cooked mine on Low for 6 hours and then kept them warm for a few hours. Husband put them on the grill (with the BBQ sauce), but he only flipped them a couple of time before the meat was falling off the bones! 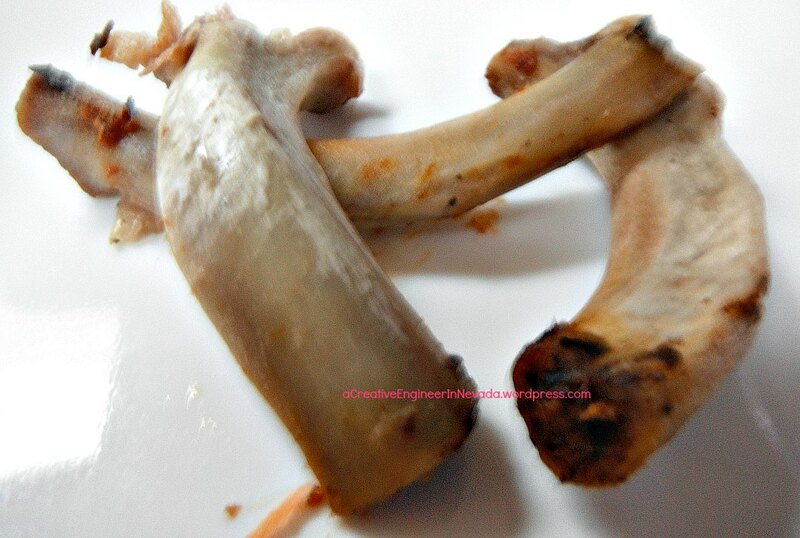 So, I forgot to take a photo of the ribs prior to eating them, but here is a photo of a few ‘clean’ bones that the meat fell off the bones by itself. Depending upon what is in your rub or BBQ sauce this could definitely be a gluten-free meal. I got an Instant Pot 7 in 1 for Christmas. Our daughter sent me a link to the Instant Pot recipes listed on the Cookies and Cups website. This one sounded interesting. I knew we had the ingredients in the house – even an apple that we needed to eat soon. I even made it on the pressure cooker settings. The Instant Pot ran really quiet versus when my mom used to use a stove top pressure cooker. I am happy to say that it was a hit with my family. Now to figure out what I will be making next. Do you have an Instant Pot? What are your favorite recipes? I hope everyone has a wonderful Easter. We were supposed to go out of town to visit family, but the family is sick. So, we decided to stay home. Yesterday we went to Costco and they had their (wheat) Carrot Cake Cupcakes on sale. They looked so good! I didn’t pick any up, but I did come home and decided to make some Gluten-free ones. Not sure if mine cost less, but I at least was able to control all of the ingredients that went into them. Oh, and by the way I added a page that lists other people’s gluten-free recipes that I have tried and liked. This is partly so I don’t have to keep finding the recipe and to give you some help also. Your welcome. I knew I had to figure out how to make it gluten-free for my family. This recipe is a HIT with my family. Up until now I had only done it with skinless/boneless chicken breast, but today I decided to do it with skinless chicken thighs. 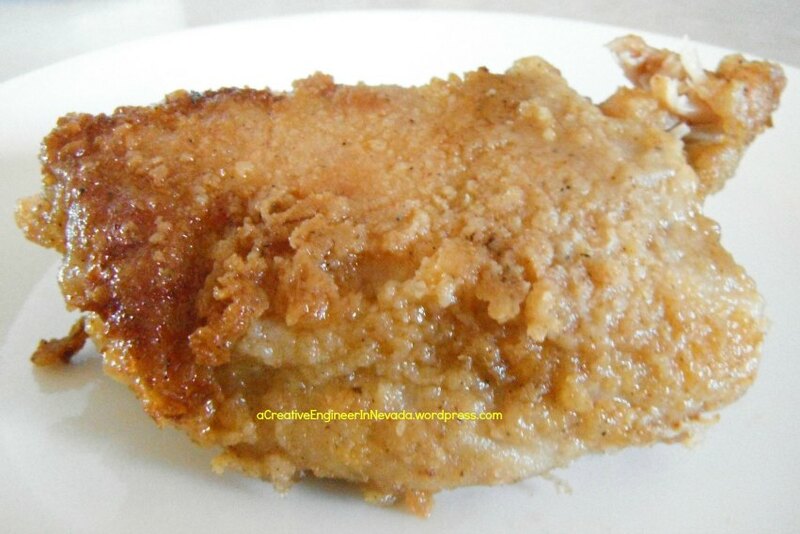 Place thawed chicken breast tenderloin (or I have used thighs) strips in a bowl of milk. Let soak for 20-30 min. When I started to make it I realized I didn’t have any curry in the house. So, I made the spice mix without it. My family liked the flavoring of the Gluten-free Baked ‘Fried’ Chicken better than the taste of KFC chicken. I wonder if the KFC spices has curry in it….. Mix together and store in a cool, dry place.